As expected, the Federal Open Market Committee (FOMC) announced a 0.25 percentage point increase in short-term interest rates today. This hike further solidifies the view that the Fed is now essentially on auto-pilot in its campaign to raise rates, and is not responding to economic data. The data show that inflation is still below the Fed’s 2 percent target, as it has been for most of the past 9 years. 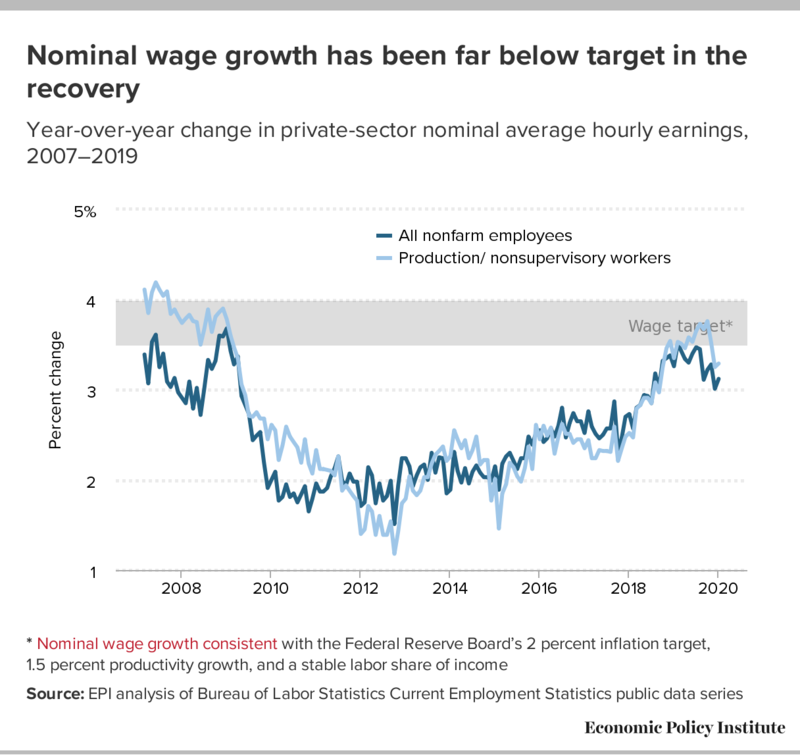 They show a labor market that is continuing to improve steadily—as it has every year since 2010—but which has yet to generate wage increases fast enough to push inflation over the Fed’s target. This delinking of Fed decisions from the movement of economic data and the resulting auto-pilot path of interest rate increases is a clear threat to continued economic expansion. Given that inflation-adjusted wages for the vast majority of American workers have just started gaining serious ground in recent years, and given that the economy needs a long period of running at full capacity to restore the damage done to its productive capacity by the Great Recession and slow recovery, prematurely ending the economic expansion would be a grave policy mistake.